We are leading trader and supplier of smoke detectors. We offer all kinds of smoke detectors, addressable photoelectric smoke detector, addressable combination smoke & heat detector, addressable heat detector. Our products are high on demand in offices, banks, reservation counters, institutions, broadcasting and so on. We are committed to maintain long-term relationships with our customers and thus, catering parallel to the needs of several international customers. Detector has passed strict EMC test, which greatly eliminates fasle alarms caused by interference from nearby sources. Note : The product prices Range from Rs 1500 to 3500 per piece. 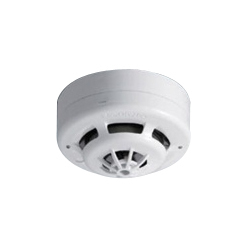 We offer Conventional Fire Detection System (Multi Criteria Smoke Detector). Special Chamber Design: Decrease dust level & improve detection accuracy. Dual LEDs for 360° visibility. Advanced technology enables to increase its precision in fire detection, improve signals to avoid noise interference & thus reduce unwanted false alarm. Low current consumption allows more detectors to be used with each control panel. Dual contacts on the base: enhances the connecting stability with sensor & base. 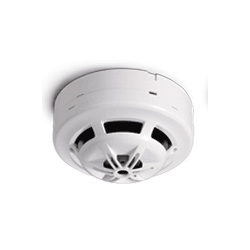 We offer Addressable FIre Detection System (Addressable Photoelectric Smoke Detector). 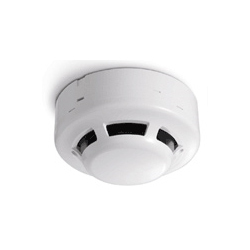 We offer Addressable Fire Detection System (Addressable Combination Smoke & Heat Detector).